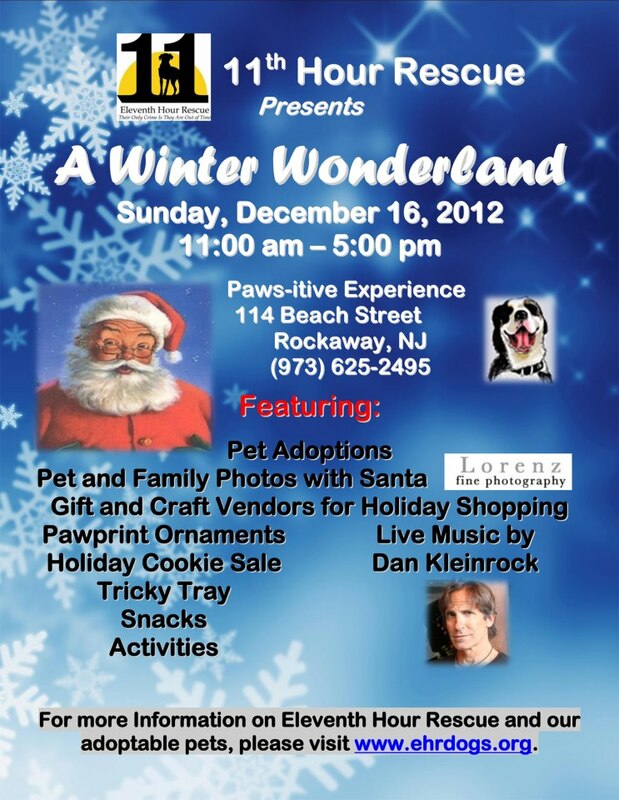 Don’t Be Cruel will be at Eleventh Hour Rescue’s A Winter Wonderland tomorrow December 16, 2012. There will be pet adoptions, pet and family photos with Santa, Gift and Craft Vendors for Holiday Shopping, Pawprint Ornaments, Holiday Cookie Sale, Tricky Tray, snacks, activities and live music. In addition to our t-shirts, bracelets, dog tags, leashes and collars, we will have our special Don’t Be Cruel Holiday (Peppermint) Bark. For more information on Eleventh Hour Rescue and their adoptable pets, please visit www.ehrdogs.org. This entry was posted in Local NJ/NY Events and tagged Eleventh Hour Rescue, Holiday Peppermint Bark on December 15, 2012 by Belkis Cardona-Rivera.